We all know that the internet is full of the “Best Ever” claims and “ultimate” recipes but this really is a recipe you should try. 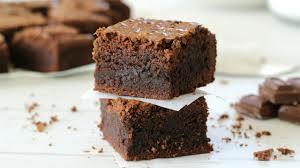 I love trying out new things so I decided to learn how to make brownies. Like we all do, I have gone on youtube to get a video that explains how I can go through with the process better. I have also shared the video here just in case you feel the need to use your hands. Try it out and give us a feedback. I would be trying it out this weekend. Thank God there is public holiday on Monday!